It started with a really interesting call. It wasn’t pests of rodents digging up the yard, and they didn’t call the local exterminators. They had a case of a youth with loads of creative energy, vision, talent and no where to put it. So he started digging. And he stared building. There were even little bridges crafted around a small trail. While it’s really cool to see people building cool things, it’s way less cool when that bridge you built collapses or the line on your trail is off and you crash. Amateurs can dream up some pretty wild stuff, professionals can make it happen. And that’s where we came in. The yard itself wasn’t huge. It really doesn’t need to be. 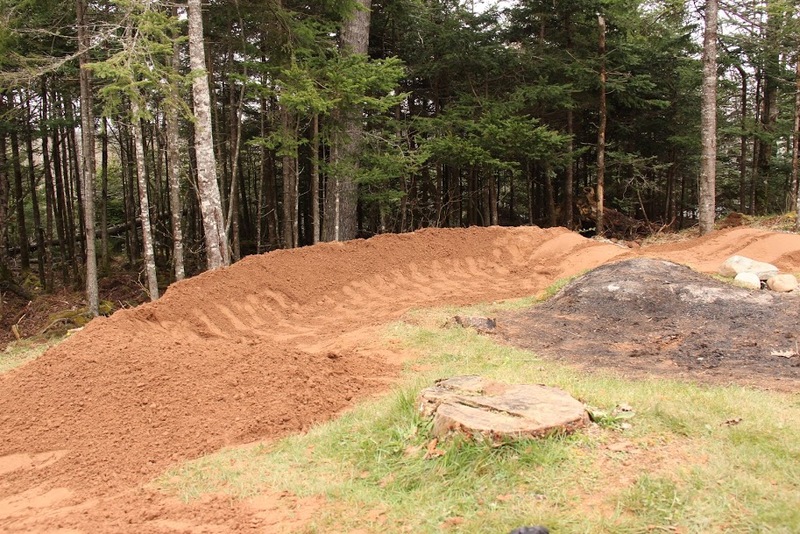 A bike park can take up as little or as much space as you want it to. In this case, as it is in most cases, it was all about the design. A good design can make the difference between success and failure. So we worked out a design that worked for us and worked for them. Our design complimented the landscape and most importantly, it gave littles and friends a place to play. 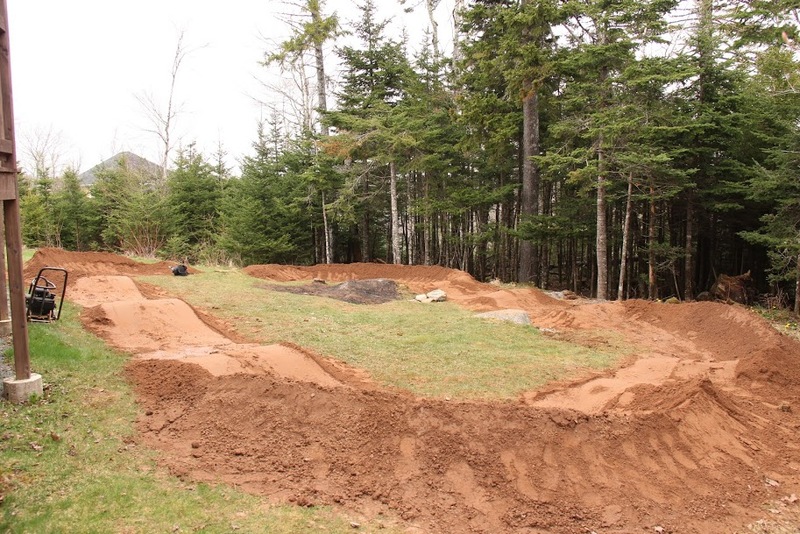 When most people think about a pump track or a bike park or a bike trail, they think big. We take big and turn it into small steps; possible steps. It’s one thing to want to build something cool. However, the real work comes when you actually build it. So we know that we can do this. However, the question that most people with a backyard and a bit of a dream will ask is why? 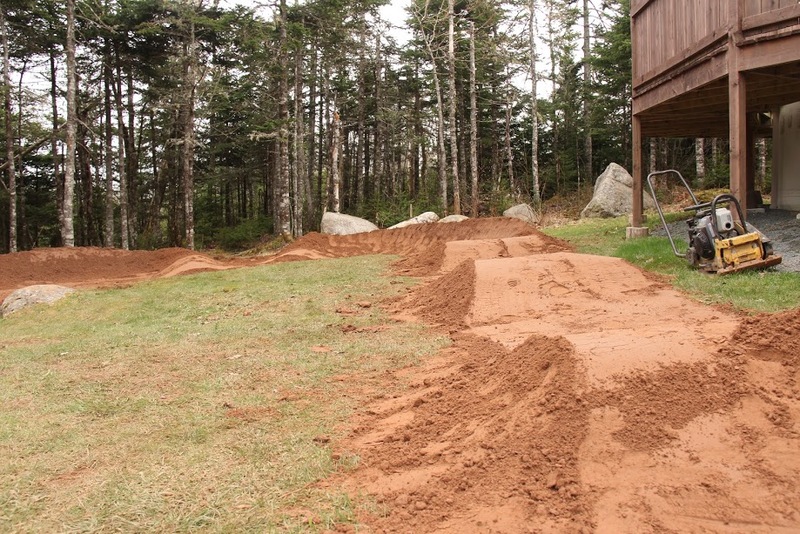 Pump tracks are pound for pound the best training grounds for a rider. And if the rider is so lucky, a coach, too! Most pump tracks either have turns in both directions, and / or can be ridden in both directions. Between that, and the pumping motion used to gain speed that can’t be faked – it’s easy to weed out bad habits and build on better ones. What’s cool about this kind of riding is how well it translates to other sports. It translates to skiing. It’s probably most similar to skiing moguls with your hands holding handlebars horizontally as opposed to poles vertically. The focus of the rider is much like racing virtually anything. A rider can only go as fast as their eye-lead-time allows. So if you’ve got a kid that loves racing, this is a great way to practice. Kids dig action. The doll house and swing set just don’t do it for most kids all the time. You and your neighbours could benefit from something fun and active for the community to enjoy. And let’s be honest, it’s not just about the kids. Your schedule has turned work/life balance into a joke. Your clothes seem to be shrinking and the most exercise you are getting these days feels like it’s with your thumbs, scrolling through Instagram and Netflix. When the really fun place to play is in your own backyard, you’ll find a way. The really wonderful thing about a pump track is the flexibility. It doesn’t matter if you’re 5 or 50, you can have a heck of a lot of fun on a pump track. It’s not just for pros. It’s a place to pros to practice and families to play. There is no better use of a backyard, as far as we’re concerned. If once you’re done you realize that you’re a huge square and you’re just not interested in having that much fun, you can always flatten it out, cover it in grass and spend your time mowing it, if you don’t like enjoying yourself. If there’s not one in your community, turn your yard into a community. If you want this or something like this, you might enjoy this. A little blip in the yard before chore time.